This is a project for my Interactive Design class at Graduate Communications Design at Pratt Institute in New York. Inspired by cyborgism and human cyborgs, we were required to design an interactive device that fulfilled a personal lack. 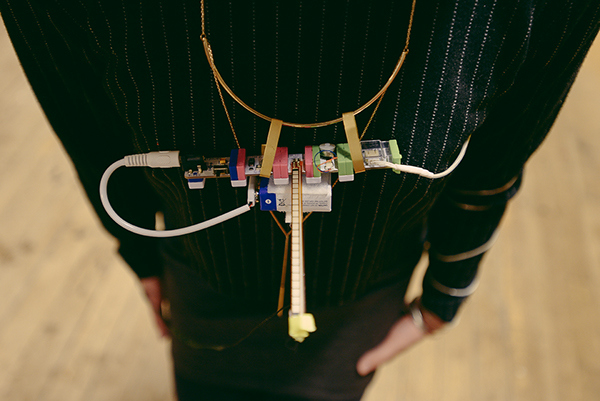 We experimented with body-machine-interaction by wearing our devices for a week like a cyborg. The device could be mechanical, electronic, digital, or a combination. Throughout the week, we documented and reflected on the experience of wearing our devices. We have enough designs out there for imaginary users. By designing products for ourselves, we understand that we should know as much about our actual users as we know about ourselves. Interactive experience is a conversation, a closed circle from the sender to the receiver and back to the sender. By building this project, we learned the key elements that achieve interactivity and explored different levels of interactivity. A prosthesis is different from a wearable device. 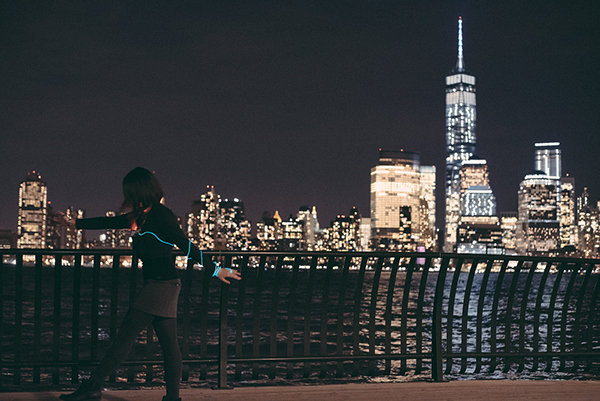 Wearable devices enhance abilities but don’t become a part of the body. A prosthesis is an extension of our body and serves as a new sense. Gravity: 370BC, 1585, 1687, 1915, ? 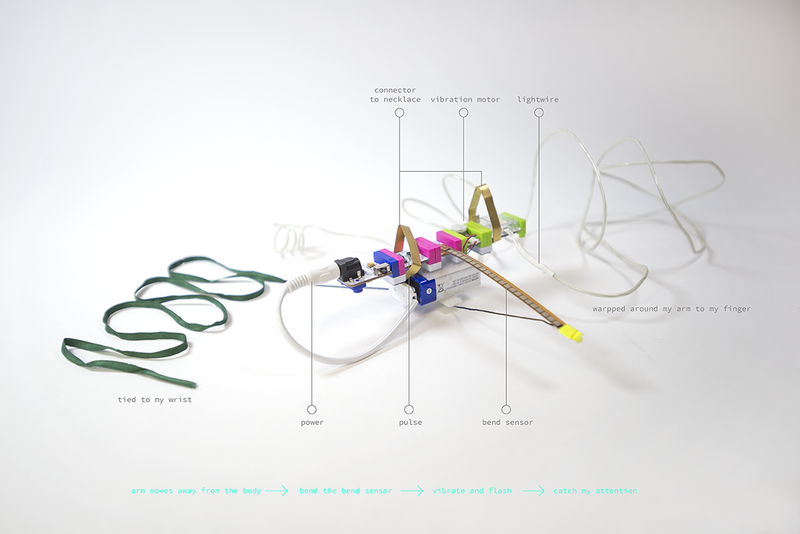 Inspired by cyborgism and human cyborgs, we were required to design an interactive device that fulfilled a personal lack. 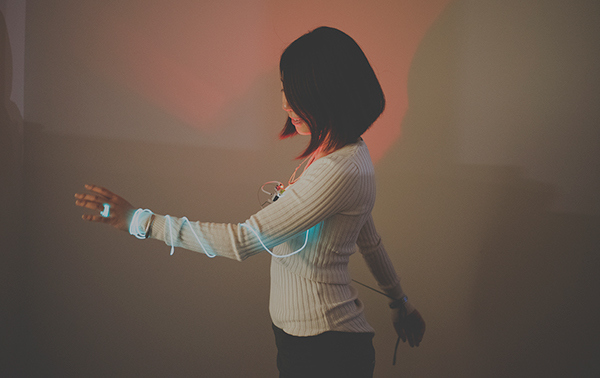 We experimented with body-machine-interaction by wearing our devices for a week like a cyborg. The device could be mechanical, electronic, digital, or a combination. Throughout the week, we documented and reflected on the experience of wearing our devices.